Kings Hedges Crossing, Cambridge facing Chesterton Junction. 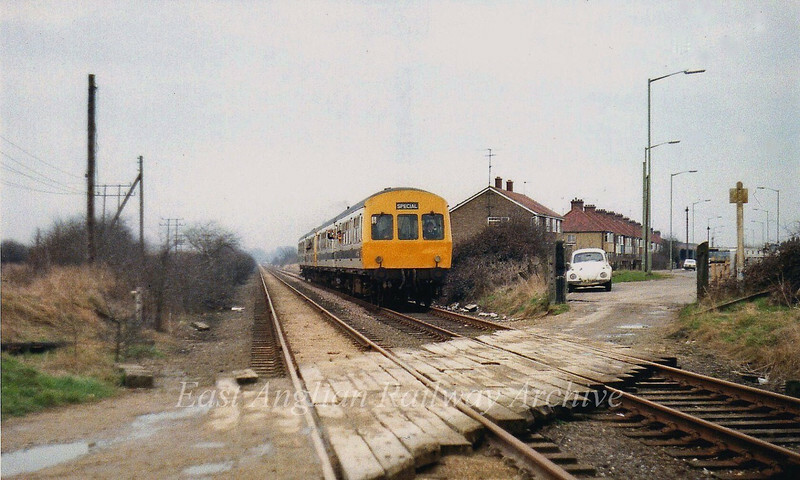 A Railway Development Society Special is passing, heading for Swavesey on 31st March 1979. To the left of here, where the Science Park is now, was an extensive MoD depot. Map here:-- http://www.norfolksteamloco.co.uk/j94ourloco.asp It was known as Histon Technical Stores Sub Depot and was originally a US army camp. Opened in 1943, It had extensive railway sidings and a marshalling yard which closed in September 1959. It also had its own signal box with fifteen levers.